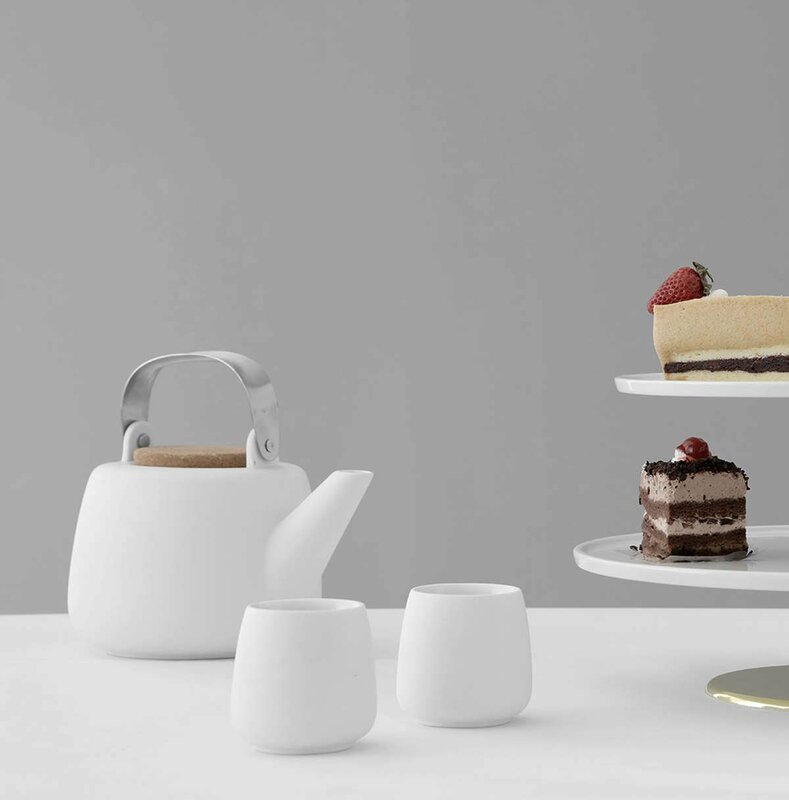 The petite Nicola tea set is here to make every get-together better. When your best friend comes over for a catch up, you’re going to need to serve refreshments. 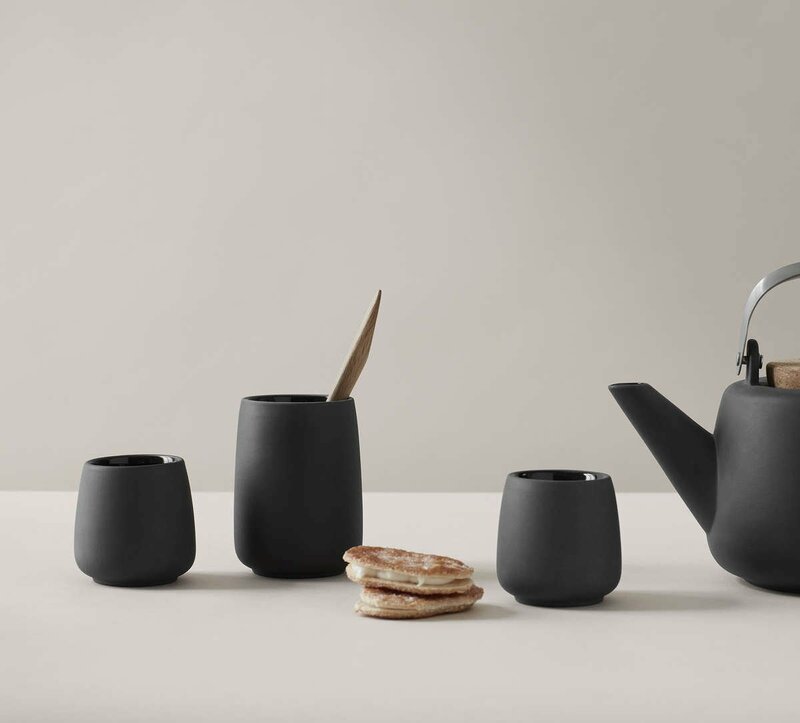 Now you can serve perfect and petite cups of tea using the Nicola tea set for rainy afternoons spent chatting with a dear friend. Size: L: 6.5 cm - H: 7.0 cm - Vol: 0.08 L / 2.50 fl. oz. 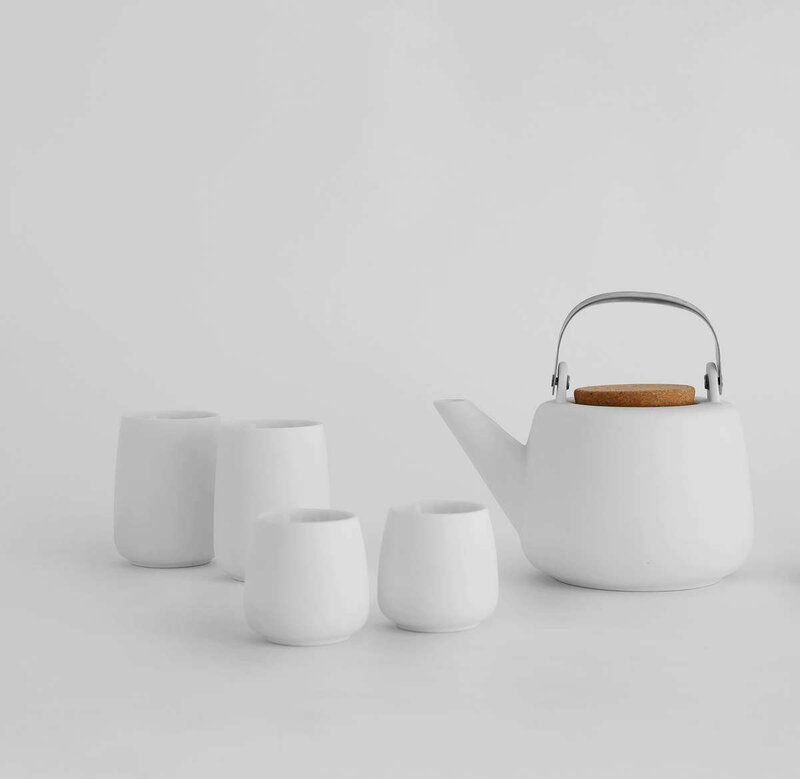 The petite Nicola tea set is here to make every get-together better. 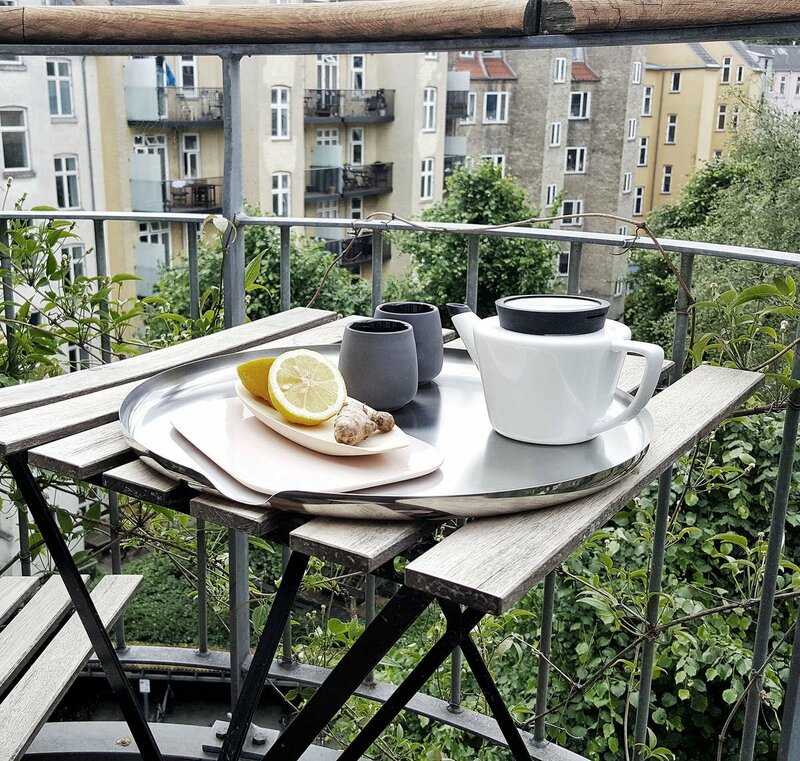 The organic rounded design blends perfectly with the earthy storm grey tone, making these tea cups the idyllic accompaniment for rainy afternoons spent chatting with a dear friend. When your best friend comes over for a catch up, you’re going to need to serve refreshments. 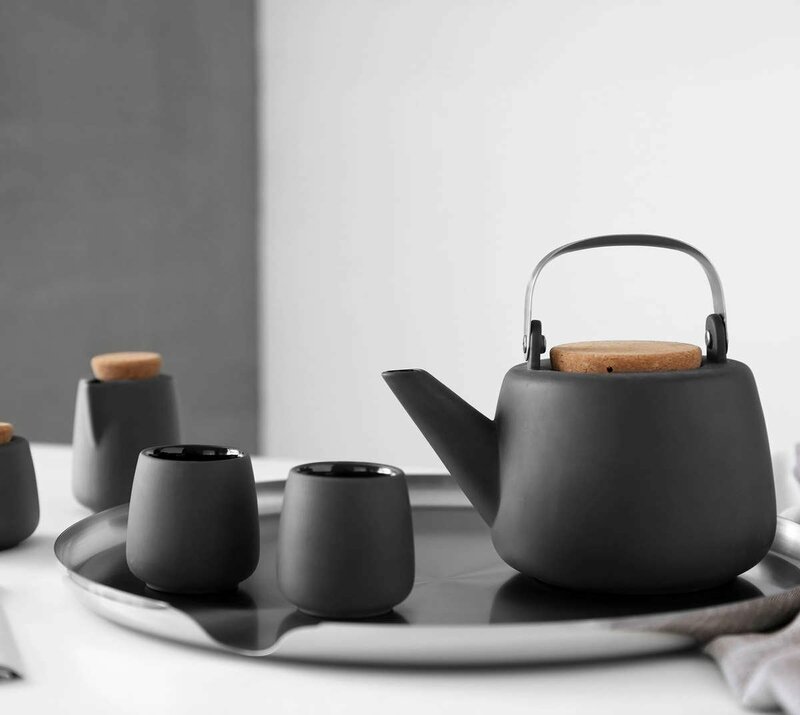 Now you can serve perfect and petite cups of tea using the Nicola tea set. Embrace the minimalist design of these crisp white cups as you share treasured moments. How many cups are in the set? These mugs come as a pair, making them ideal for couples and close friends. Or combine them with different colours and sizes and make them part of a mix-and-match set. What are the cups made of? These cups are made of our premium Chromasolis porcelain that is 100% lead and cadmium free. 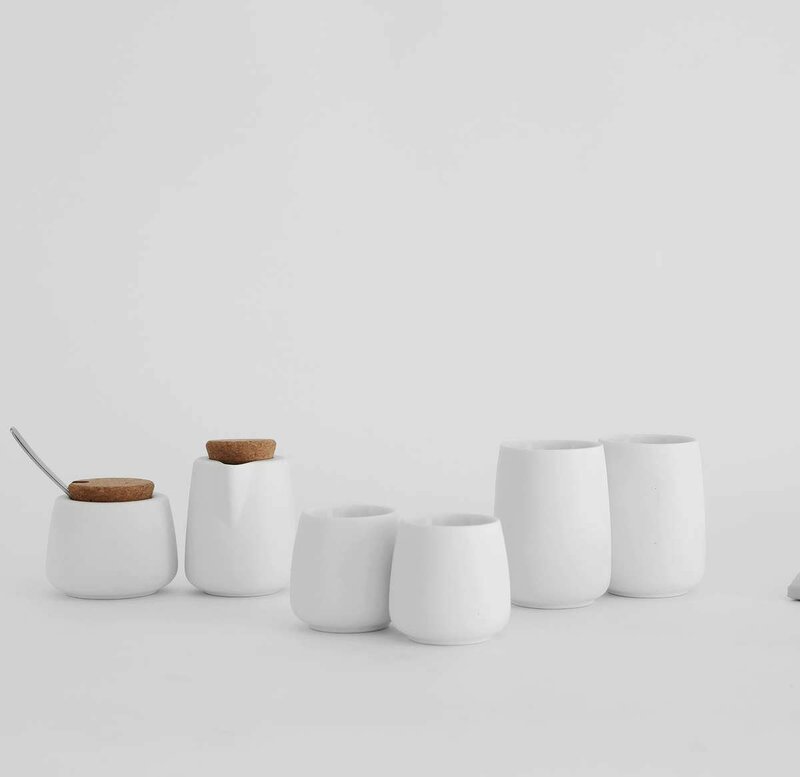 The cups have been given a delightfully textural exterior and smooth interior. Yes, our porcelain products are all made from our premium Cretasolis porcelain that is 100% lead and cadmium free. When you select the best tea you want to be sure that nothing is compromised and especially not leaching harmful chemicals into your tea. Our porcelain has been developed with your health in mind so you can focus on enjoying your favourite beverage. Yes, they are! The double-walled design keeps your drink warm while keeping the outside of the cup from getting uncomfortably hot in your hands. What is the advantage of porcelain? Porcelain is a wonderful, natural material that is durable, has a low impact on the environment, and will last years and years. This weight and texture of this beautiful material brings an enjoyable tactile dimension to your favourite beverage. What is the best way to clean these cups? These durable mugs are dishwasher safe, but they’re just as easy to hand wash like you would any other cup. How big are the cups? They have an 80 mL capacity. Just the right size for double espressos or small cups of strong, aromatic tea.